My Thyme Is YoursTM is a Personal Chef Service dedicated to providing its clients with the highest quality, nutritionally balanced and tastefully pleasing dinner entrees. These meals are customized to your dietary needs and preferences to supplement or mainstay your family's lifestyle. For singles, working couples or families with children, our services complement your basic quality-of-life and suit your busy schedules. One or two days a month, a professionally trained chef will shop for groceries, cook in your home, and leave your kitchen clean and your entrees ready to be reheated at your convenience. 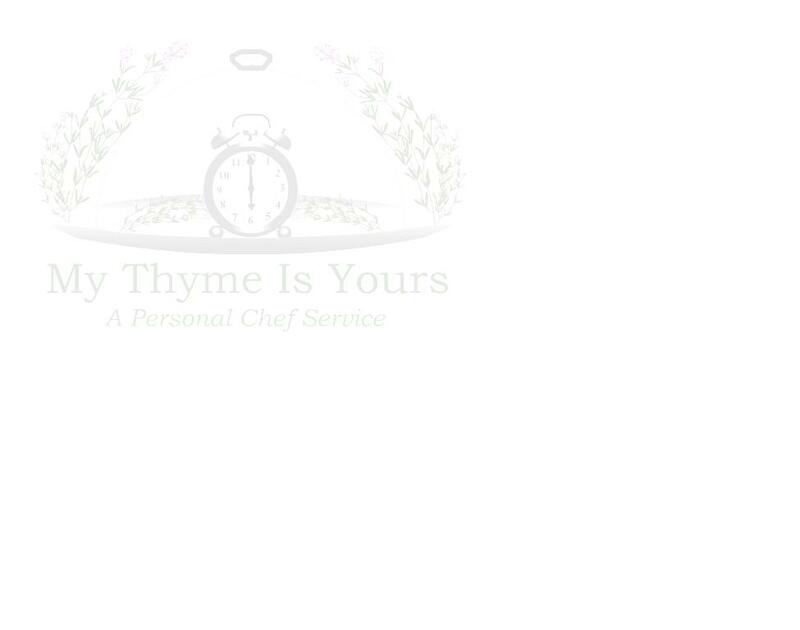 My Thyme Is YoursTM is currently servicing the Northern Atlanta Metro Area. "One or two days a month, a professionally trained chef will shop for groceries, cook in your home..."